This new Park Slope eatery has *amazing* bagels, or as they like to spell them: beygls. The funny spelling comes from the word’s yiddish origin. 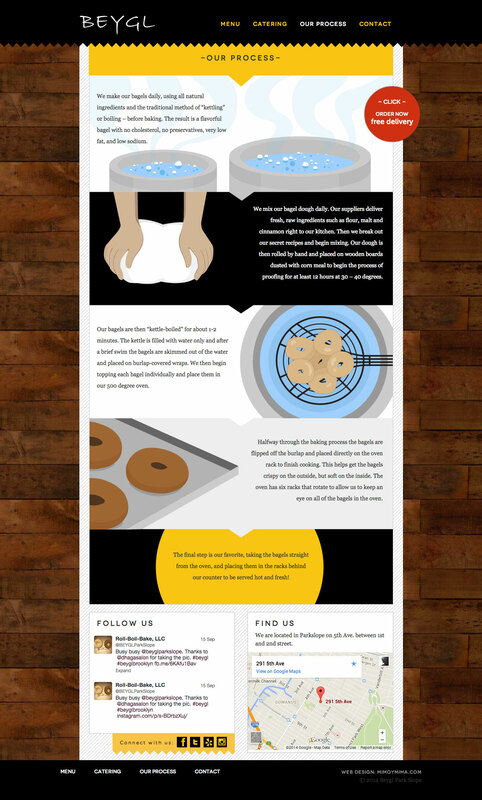 These guys really know and love the process of making these things, so we spent some time illustrating a cool process page that shows how it’s done. We also like how they source wholesome local ingredients from other New York and Brooklyn vendors. 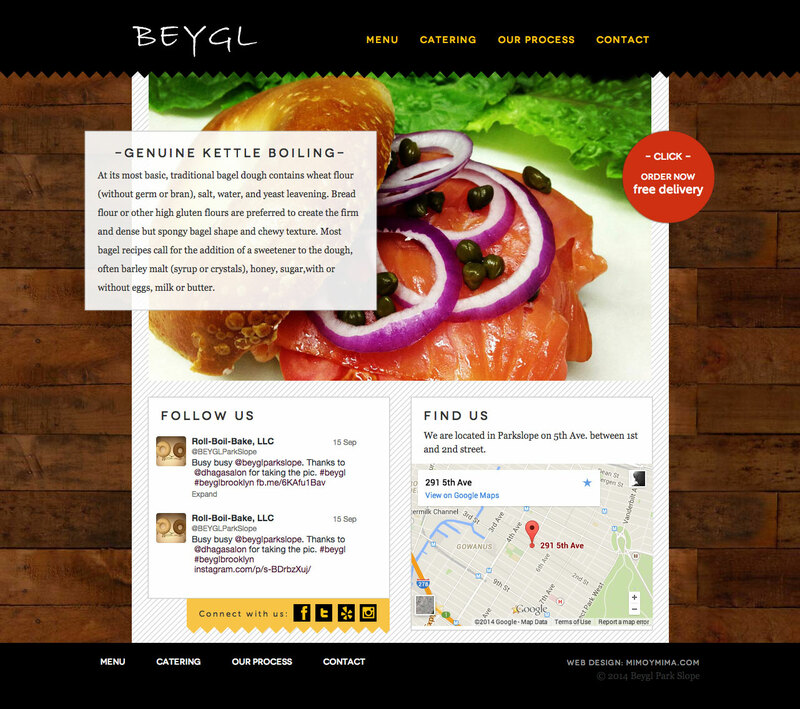 You can check out their delicious menu on the website, or if you’re in the Slope stop by and pick up a beygl.